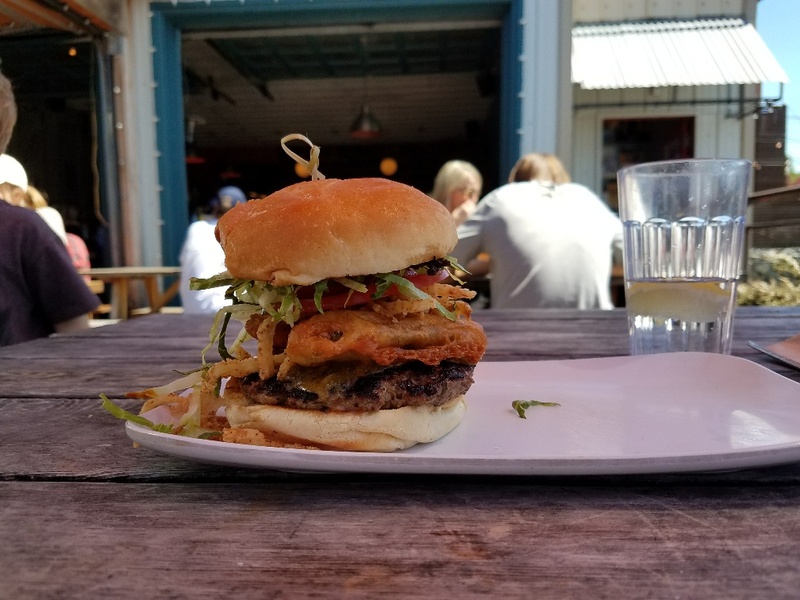 My goal is to visit all my local eateries (Fremont neighborhood of Seattle) at least once every couple years. (Of course, some of my faves hit the top of my list a lot more often!) The one exception, if I visit anywhere twice and don’t like it either time, I don’t make myself go back. Here are my reviews for the burger and pizza restaurants I visited. See more reviews. (2014 review) My fave pizza place for delivery. It’s fast, it’s really good pizza, and they have a standard pizza called “Extra pepperoni”—what’s not to love? (2014 review) This may be a strange recommendation for a pizza restaurant, but this place always brings back fond memories of Germany and the authentic Italian pizza place that I went to with friends from my German language school.This is delectable, thin crust, served whole (i.e. not cut in slices) Italian pizza. There’s nothing better than a good glass of wine, their salami pizza, and sitting at the counter/bar next to their open windows in the summer and watching life on Fremont Ave.
(2014 review) Pizza was good, but the wine choices weren’t all that exciting. Since I have other better pizza options closer to me, this place isn’t high on my list. ** (2018) Petoskeys It’s supposed to have a Midwest vibe. 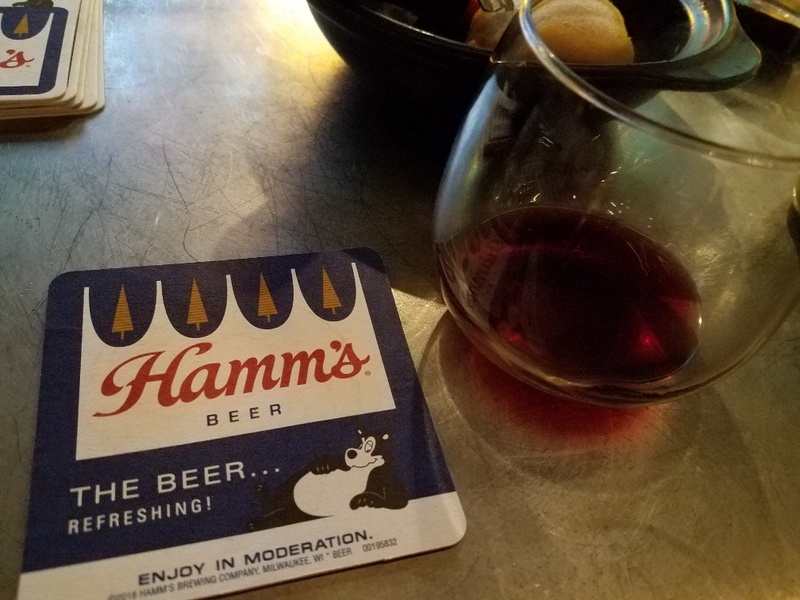 And I’ll admit, the Hamms beer coasters and Notre Dame game on the screen behind the bar (rather than a UW Husky game) did make me feel like I should zip up a down coat and head to an ice house when I walked out the door. A friendly bartender gave it another point for Midwest authenticity. Their specialty is pizza, so I ordered the Mackinac pizza, carefully pronouncing it correctly—Mack-i-naw. They lost authenticity points when the server brought it out. “Here’s your Mack-i-nak pizza,” she said. The pizza was cheesy. And tomato-y. I definitely glimpsed the Canadian bacon and the pineapple and jalapenos, but tasting them amidst all that tomato and cheese was another matter. Having just eaten pizza in North Dakota a couple of weeks ago, I know the Midwest can do better than this. (2014 review) My favorite burger place in the area. Hmm, maybe my favorite burger place overall! My fave is the blue cheese burger, but they have lots of interesting combinations on the menu and you can build your own. A big, fat, juicy burger…makes my mouth water to write this. They also have an outdoor area, which I love in summer. Beer, wine—it’s not a fast food place. (2014 review) It always looks empty (though there are only about three tables in there so it shouldn’t take much to fill up the place) and Yelp reviewers gave it very mixed/negative reviews. Since it seemed like more of a delivery place, I ordered pizza to be delivered. They were pretty prompt, the pizza was pretty good, and the crust was only the tiniest bit soggy from cooling off in the box on the way to my house (one of the biggest complaints on Yelp). 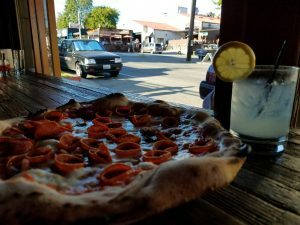 It wasn’t so great that it would even come close to bumping my favorite pizza places out as my favorites, but I’d be willing to try them again.